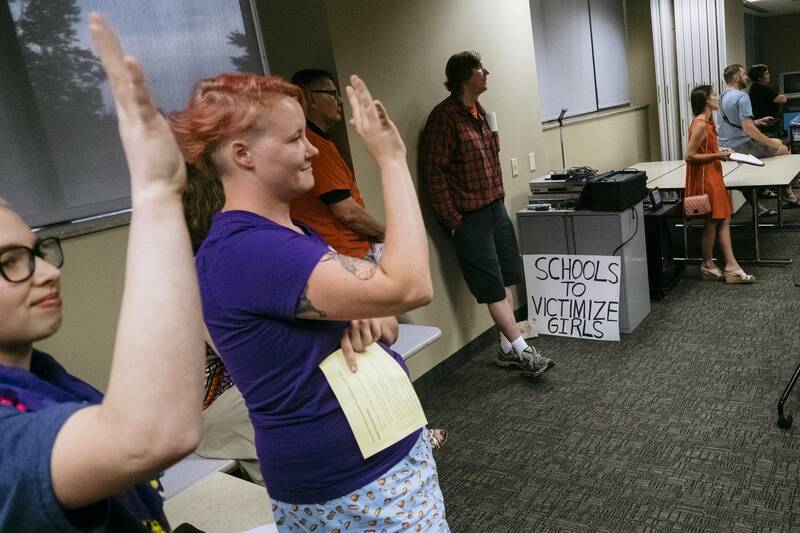 State education officials have approved a set of optional guidelines for transgender students to be distributed to Minnesota school districts, but they also heard strongly worded views on both sides in a meeting Wednesday. The "toolkit" has suggestions for district professionals on topics like field trips, sports and restrooms. It summarizes state and federal non-discrimination laws and advises schools on how they apply to transgender students. For example, the toolkit says transgender students should have access to restrooms and locker rooms consistent with their gender identity. • Trump and transgender rights: What happened? "Students should be given the option that feels comfortable to them," said Charlene Briner, deputy commissioner of the Minnesota Department of Education. "We want to respect the families and the students who are dealing with issues of gender nonconformity, and we also want to respect the rights of students who may not feel comfortable." A recent state survey found transgender students are more likely to be bullied or attempt suicide than other students. 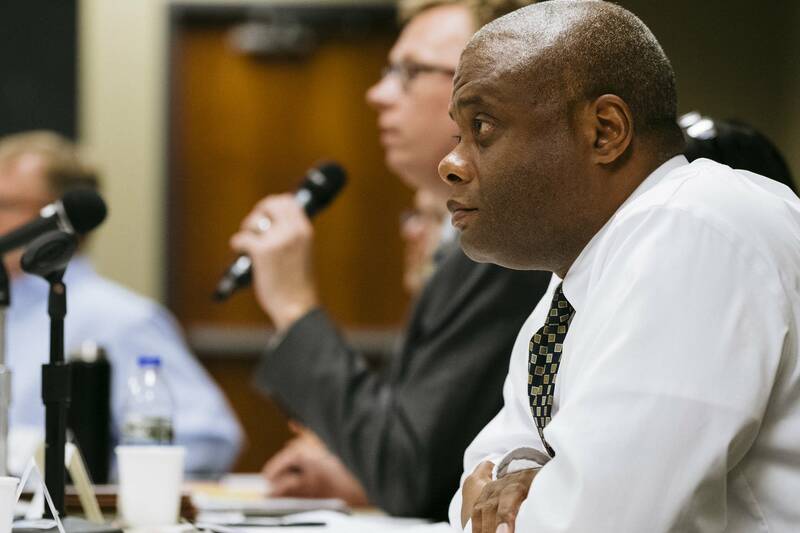 The department created the toolkit in response to requests for help from schools, but some at the meeting this week said it would undermine parental rights and threaten privacy. Anoka-Hennepin parent Joy Orvis brought her four children up in front of the crowd at public comment time. "This toolkit undermines my authority as a parent and confuses my children about their biological reality and breaks down the bodily privacy boundaries that I have taught them," Orvis said. Still others said it hampers free speech by advising use of preferred pronouns. 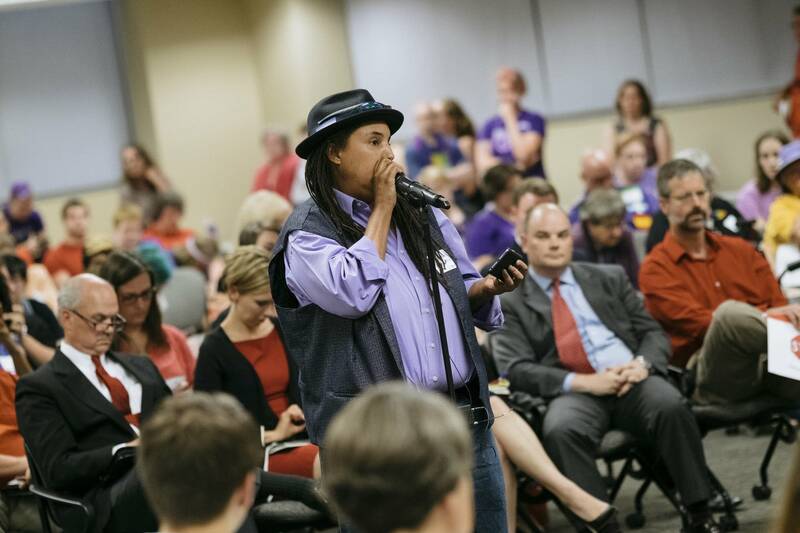 "People aren't being compelled to use pronouns," countered Minnesota human rights commissioner Kevin Lindsey. "But it does state, however, if you are using pronouns in a way which is different than the pronouns the person wishes to be identified by, that may constitute harassment or intimidation." Supporters said the guidance is just what schools need. Recent graduate Zeam Porter said it was painful to hear comments that questioned the validity of a transgender identity. "This toolkit is to help people understand the humanity of folks like me. It is not to give me special privileges, it's not to give folks who are in school special privileges," Porter said. 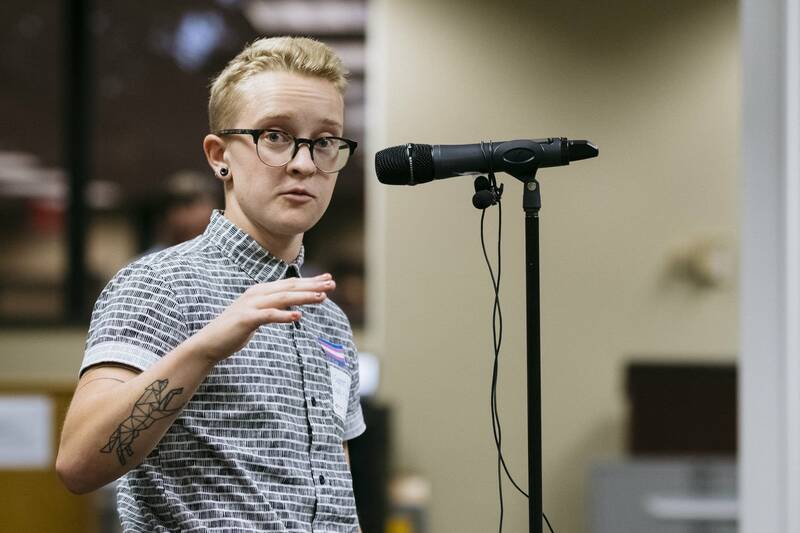 "The times I cry about the most are the times where the teachers didn't understand why my name was important, why my pronouns were important, why it was important for me to feel safe in class."